An interior designer is responsible for the interior design, decoration, and functionality of a client’s space, whether the space is commercial, industrial, or residential. Interior designers work closely with architects and clients to determine the structure of a space, the needs of the occupants, and the style that best suits both. The position is a combination of engineer and artist, and it takes a unique type of mind to handle both of those concepts well. Interior designers have to be good with more than color, fabric, and furniture; interior designers must know materials, have budgeting skills, communicate well, and oversee the ordering, installation, and maintenance of all objects that define a space. They also have to know about electrical capacity, safety, and construction. This broader range of required knowledge distinguishes them from interior decorators. Interior designers have to be able to work with contractors and clients alike, planning and implementing all aesthetic and functional decisions, from faucet handles to miles of carpeting —and all this usually must be done within a fixed budget. Interior designers are hired for their expertise in a variety of styles and approaches, not merely their own personal vision. Therefore, they have to be able to balance their own tastes and their clients’ tastes—and be willing to put their clients’ tastes first. This requirement can be frustrating at first for many who enter the profession. Interior designers are often asked to begin their planning before construction of a space is finished; this means that they must be good at scheduling and comfortable reading blueprints. This element of the job comes as a surprise to many new interior designers, who expect to have less of an administrative and technical role and more of a role in influencing the overall feel and appearance of a space.Interior design is hard work, but those who do it well find the work very satisfying. Interior designers are creative, imaginative and artistic. They also need to be disciplined, organized and skilled business people. Combining knowledge with aesthetic vision, interior designers work with clients and other design professionals to develop design solutions that are safe, functional, attractive and meet the needs of the people using the space. Interior designers must know how to plan a space and how to present that plan visually so that it can be communicated to the client. Interior designers must also know about the materials and products that will be used to create and furnish the space, and how texture, color, lighting and other factors combine and interact to make a space. In addition, interior designers must understand the structural requirements of their plans, the health and safety issues, building codes, and many other technical aspects. 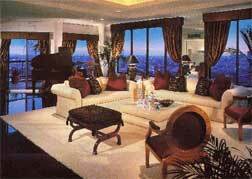 Interior designers must be comfortable meeting and dealing with many kinds of people. They must communicate clearly and effectively, as well as be attentive listeners. Because they often must work with architects, contractors and other service providers, interior designers need to be both good team leaders and good team players. They must be willing to negotiate and mediate when necessary to solve problems. Interior designers must have excellent time and project management abilities since they frequently work on more than one project at a time under demanding deadlines. Interior designers must understand business planning, and they need to know how to sell their ideas to clients, create informative and persuasive proposals and presentations, and maintain good client relationships.